What if you could straighten your teeth without anyone knowing? Imagine the straighter, more beautiful smile you’ve always dreamed of without the hassle and embarrassment of traditional braces. With Invisalign, people all over the world are undergoing orthodontic treatment that is discreet, convenient, and effective. This technology has revolutionized the dental industry and it may contain the power to transform your smile, as well. Invisalign uses custom-fit, clear aligners made of medical-grade plastic to gradually shift the teeth into a straighter position. 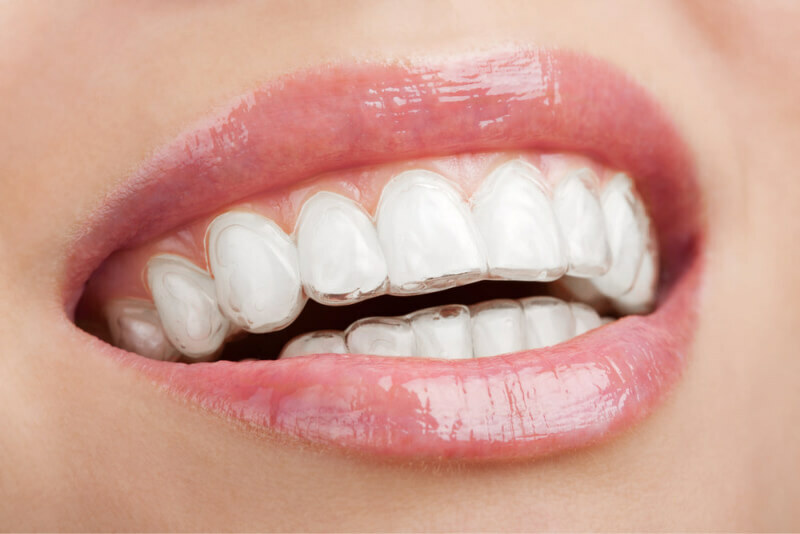 Though they are easily removed, the aligners should be worn nearly all of the time – usually at least 22 hours per day. Patients switch to a new aligner every few weeks until the entire treatment is completed, which usually takes about a year for most patients. When you think of braces, you probably think of long, complicated treatment with painful wire adjustments, a restricted diet, and an embarrassing appearance. Invisalign seeks to change all of that with its discreet aligners. It’s never too late to get a straighter smile. Invisalign can be used in older teens and adults of all ages. In fact, many patients who use Invisalign are in their 20s, 30s, 40s, 50s, and beyond. However, treatment may not be right for patients with severe alignment problems or other special needs or conditions. Only a dentist can help you determine if Houston Invisalign treatment is right for you. If you’re ready to get the smile of your dreams without the hassle of brackets and wires, it’s time to consider Invisalign. For more information about discreet orthodontics using clear aligners, contact our office to schedule your consultation. We look forward to serving you soon.